Soft sensory cube for babies and young children, great for development. Made with patterned fabrics, ribbons, and a jingle bell in the centre. 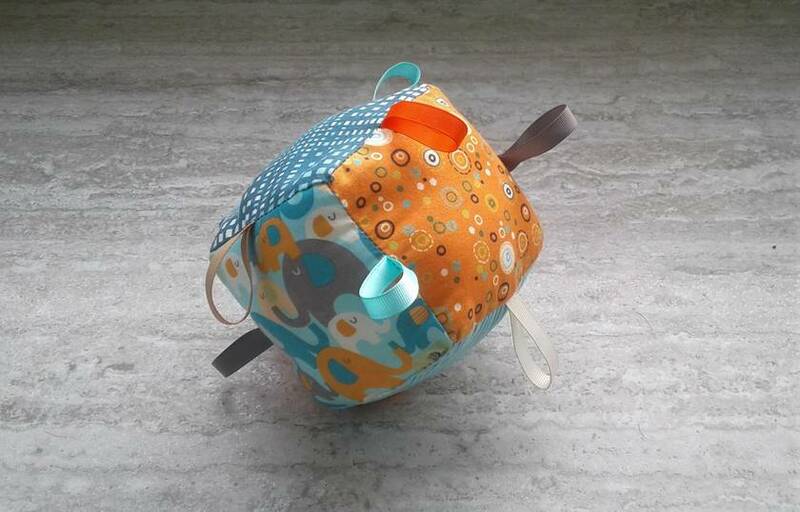 100% cotton outer fabrics with soft poly-fill, light and soft for baby to hold. 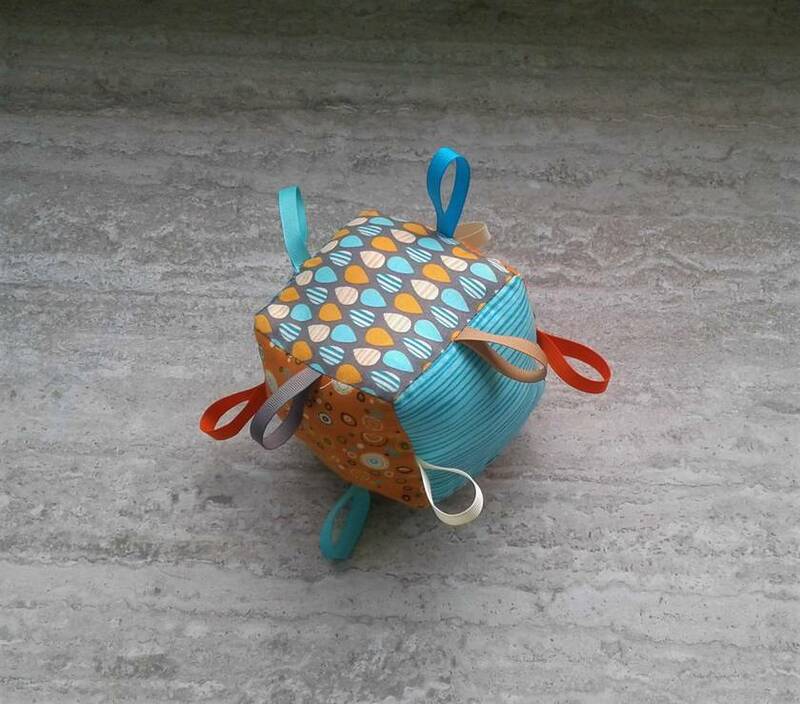 Cube is 10x10cm, ribbons are 5cm loop. Cube pictured is a sample of fabric available, these can be made in other colours, just make a note of colour preference when ordering. Contact stitched to enquire about payment or shipping options.